Diplo and Mark Ronson have shared the latest track from their collaborative project Silk City – listen to “Loud” featuring GoldLink and Desiigner here. The song premiered as Zane Lowe’s World Record on Beats 1 on Apple Music today and is available everywhere now via Columbia Records. “Loud” follows the duo’s previously released tracks “Only Can Get Better” with Daniel Merriweather and “Feel About You” featuring Mapei. 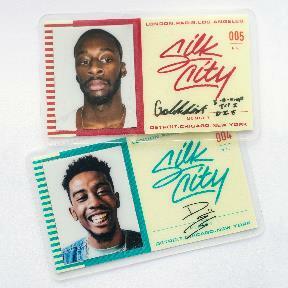 Silk City made their festival debut at Governor’s Ball in June and will headline the U.K.’s Bestival on August 3. Diplo and Ronson will also perform together at the Treasure Island Music Festival in Oakland, California on Saturday October 13.